Within Teamwork Desk, you can update the permissions of your users at any time. Select the user who you wish to edit and then select Permissions within the left pane. Here, you will see a list of all available inboxes in the company. The inboxes with a green check-mark are the inboxes the user currently has permission to access. Click on an inbox to enable/disable it for that user. At the top of the page, you will see the total number of inboxes the user has access to. 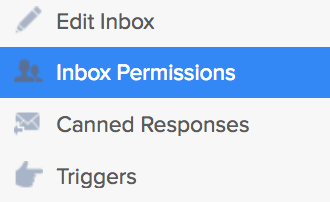 You can also update user permissions on an inbox by inbox basis, in the Inboxes tab of the settings area. 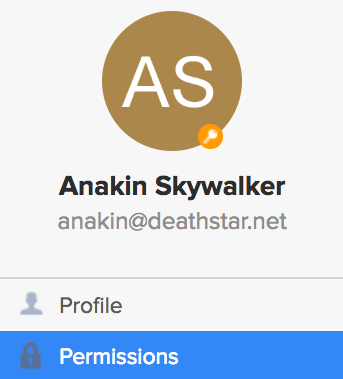 Once you have selected the inbox you want to update, go to the Inbox Permissions section in the left pane. Here, you will see a list of the users that currently have access to the inbox. Click on a user to remove their access.